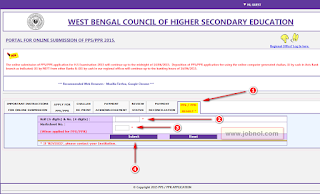 WBCHSE Higher Secondary PPR PPS Result 2016; West Bengal Council of Higher Secondary Education (WBCHSE) had published the result of Higher Secondary Examination 2016 on 16th May, 2016. Many Candidates applied for Post Publication Review (PPR)/ Post Publication Scrutiny (PPS) as they were not satisfied with the score. Now the Result of HS PPR PPS Has Been Published. 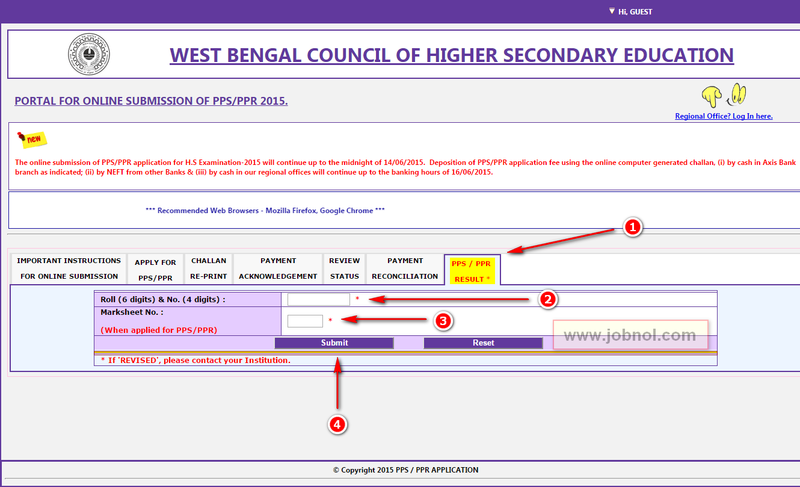 How to Check Result of PPR PPS 2016 WBCHSE Higher Secondary ? Now Click On PPS/PPR Result Option (Yello Block). Enter Your ROLL & NO. Click Yes when asked "Are you Sure Want to Submit?" List of All Applied PPR/PPS Subjects will be appeared and you can check the result as "NO CHANGE" or "REVISED". You will be awarded with a new mark sheet only when your result status is "REVISED". * If you see your PPS/PPR Result Status is Revised then you have to contact your Institution. * Rectified Mark-sheet & Pass Certificate can be collected from Regional Offices from 28/06/2016. * Authorized Letter from the Head of the Institution will be required at the time of Collection of Rectified Mark-sheet & Pass Certificate. 0 Comment to " WBCHSE PPR PPS Result 2016 - Review Scrutiny Result of Higher Secondary - wbchse.nic.in "